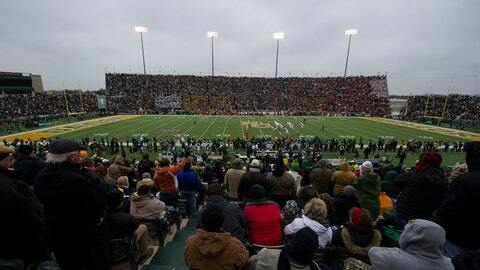 A view of the sold out stadium during the second quarter between the Baylor Bears and the Texas Longhorns at Floyd Casey Stadium. Baylor University says its new football stadium will be called McLane Stadium in honor of alumnus Drayton McLane Jr. and his family. It was announced in March 2012 that McLane’s family had given the school the largest capital gift ever — more than $20 million — toward the stadium, which will open next season. The sixth-ranked Bears make their first Bowl Championship Series appearance when they play No. 15 UCF in the Fiesta Bowl on Wednesday night.